All of the new gaming CPUs come with a minimum of four cores, while only the more dated and non-gaming CPUs still have two or fewer cores. Furthermore, when it comes to gaming, quad-core CPUs are ideal at the moment since they are the most affordable and their performance lags only by a split hair behind the CPUs with higher core counts. It’s fairly easy to pick a gaming GPU. All you need to do is go online, check the benchmarks and see which level of performance you can afford. However, it’s not as easy with CPUs. Indeed, a CPU’s performance may vary greatly based on its specs, technology, and what is required from it by a certain game. And over the past decade, one particular specification had taken precedence over every other: the core count. So, how many cores does a gaming CPU need? Let’s take a closer look right now! In layman’s terms, the core count determines how many tasks a CPU can handle simultaneously. Back in the day, single-core CPUs weren’t actually capable of multi-tasking. Rather, they would quickly cycle and switch between priority tasks. This changed with the release of Athlon and Pentium processors made by AMD and Intel respectively, which were the first multi-core processors to hit the mainstream market. It didn’t take long for core counts to inflate to 4, 8, and even 16 that we can see today with AMD’s latest Ryzen series. But the important question still remains – how many CPU cores do you need for gaming? In truth, there tends to be a greater disparity between single-core and dual-core performance than between the performance of dual-cores and quad-cores. This was the case with almost every CPU up until relatively recently, mainly because most games were made to run using a single CPU core. Today, the situation has changed drastically. More and more games can now take advantage of the high core/thread count available with modern CPUs, thus leading to noticeably better performance with processors that have 4 or more cores. Ultimately, quad-core CPUs tend to be the sweet spot at the moment, with lower core counts leading to noticeably worse performance while those with higher core counts perform only slightly better. 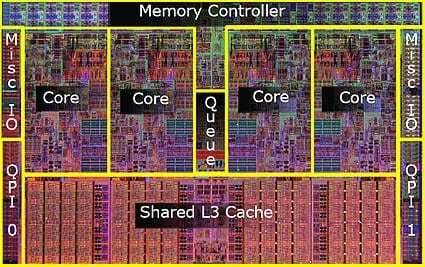 Another great innovation on Intel’s part was their introduction of hyperthreading technology which allowed a single physical CPU core to function as two “logical” cores, or threads, as they’re more commonly referred to. Soon after, AMD presented multithreading, which is their own take on the aforementioned technology and functions mostly on the same principle. Without going into the technicalities, let us get straight to the important question: is a “logical core” as good as a physical one? The answer is most definitely yes. As you can see, a hyperthreaded dual-core processor’s performance is only barely lagging behind that of a true quad-core one. 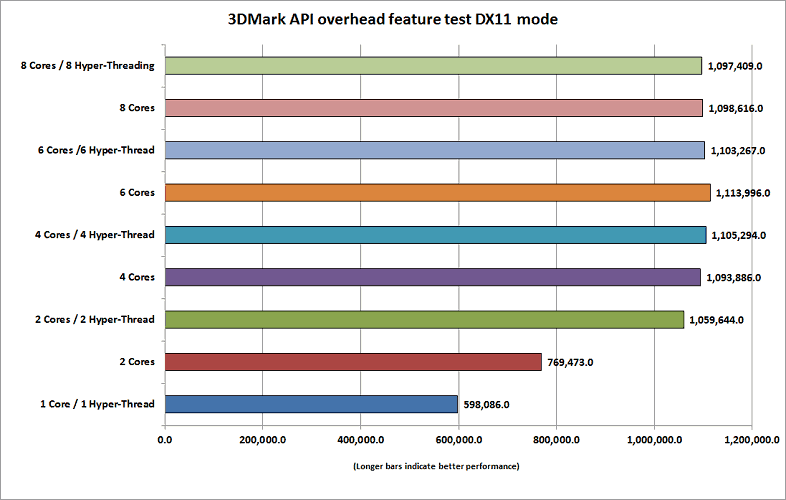 As a matter of fact, 7th generation i3 CPUs (which are hyperthreaded dual-cores) were shown to actually perform slightly better than 6th generation i5 CPUs which had four physical cores. 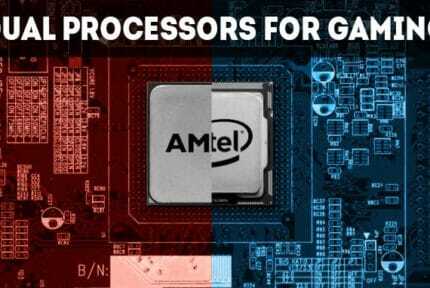 However, seeing as all gaming CPUs today have been bumped up to a true quad-core status, including the 8th generation i3 models, hyperthreading has lost the spotlight to a degree. But still, you should keep the above in mind if you’re building a budget CPU and you’ve got your sights on a 7th gen i3. It’s Not All About the Cores! We have said this before and will say it again: on-paper specifications don’t have to mean a thing. A perfect example of this was AMD’s FX-series of CPUs which were released in 2011 and 2012 and relied solely on raw power and high core counts in order to compete with Intel. As years went by, FX CPUs stagnated technologically while Intel kept improving their Core series generation after generation. The end result? You had hyper-threaded dual-core CPUs (such as the abovementioned 7th gen i3) which greatly outperformed AMD FX CPUs which had as many as 6 or 8 physical cores. The very same can be said for clock speeds. The moral of the story? Always check the benchmarks! You may or may not be familiar with the term “bottlenecking”, so what does it mean? In essence, it represents whether your CPU can keep up with the GPU. If not, then it will limit the GPUs maximum possible performance. So, how to see if a CPU will bottleneck a GPU? Unfortunately, there is no reliable way to pinpoint exactly how compatible a specific CPU would be with a specific GPU, but a good rule of thumb to follow would be: i3/Ryzen 3 for mid-range PCs and i5/Ryzen 5 for the more powerful PCs. Any beefier CPUs are unnecessary unless you plan on running a multi-GPU machine. As you can see, answering the titular question is not that easy to answer. Up until recently, we would have advised giving dual-core CPUs a fair chance, but seeing as even the cheapest gaming CPUs come with four physical cores now, there would be little point in skimping on them since the only real dual-cores you can get are simply not intended for gaming and are likely to heavily bottleneck any decent GPU. So, the bottom line is, do not settle for anything less than four cores in a gaming PC. That way, you will get the best performance and the most future-proof solution. Only deviate from this rule if you’re building a budget gaming PC, but in that case, be sure that you don’t get a graphics card too powerful for it to handle. 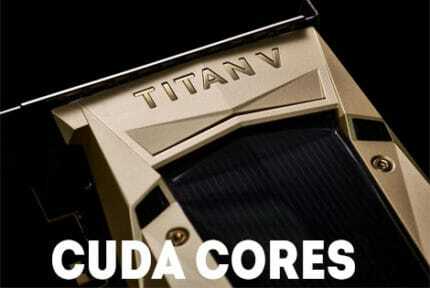 What Are NVIDIA CUDA Cores And What Do They Mean For Gaming?